Hi friends! 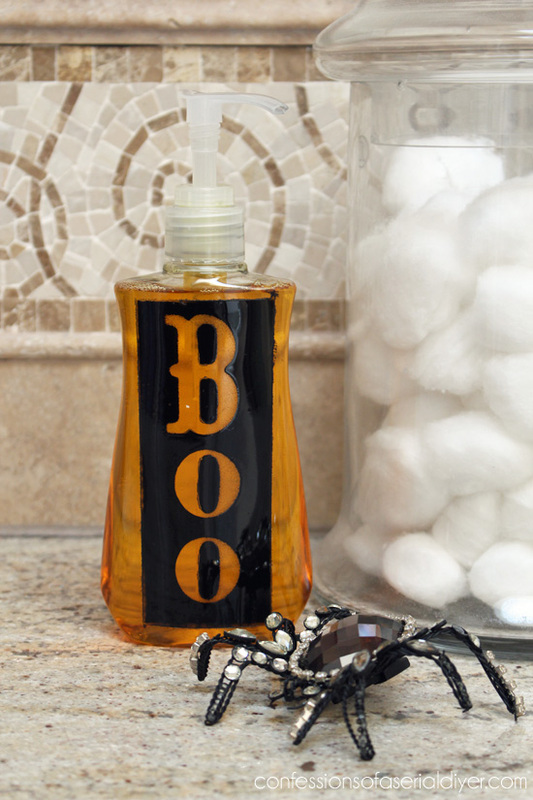 Today I’m sharing a super simple way to turn an ordinary soap dispenser into something boo-rific! I shared this on my friend, Mandy’s blog last week and I thought you might enjoy it too. 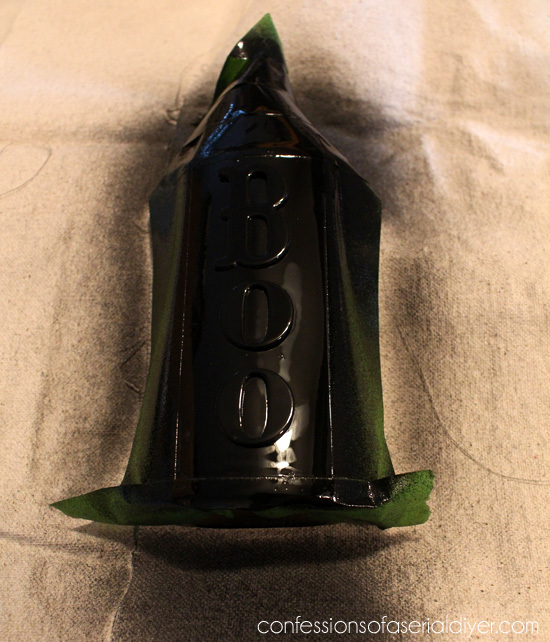 Next I taped off a rectangle using Frog Tape and added letter stickers to spell out “BOO”. I allowed it to dry and then removed the tape and letters. When the soap runs out, just refill it! Super simple, right? 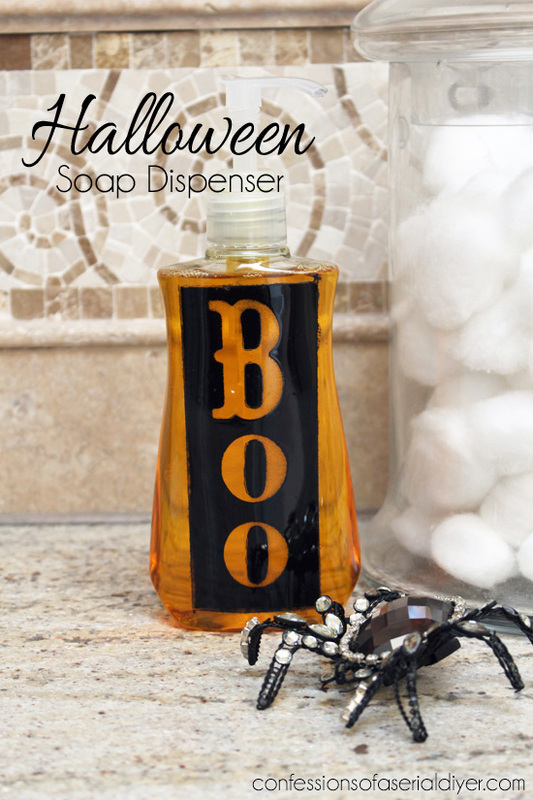 Perfect if you have a Halloween party coming up! Your guests will love it! This might be it for my Halloween posts. I’ll be back Thursday to share a tres magnifique furniture makeover! I love it! 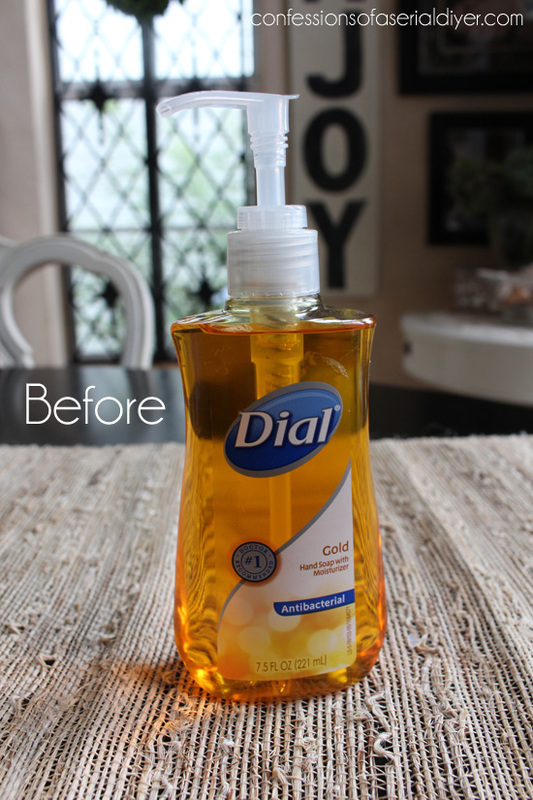 Pretty hand soaps can be so expensive. I love that you made your own! Too clever, Cristy!! That is just adorable!!!! I would love to get inside that creative head of yours – such a great idea! This is so clever and cute. Love this! Okay, that’s really cute, but we don’t use soap in our house. Very cute! Stopping by from Whimsy Wednesday. Clever! 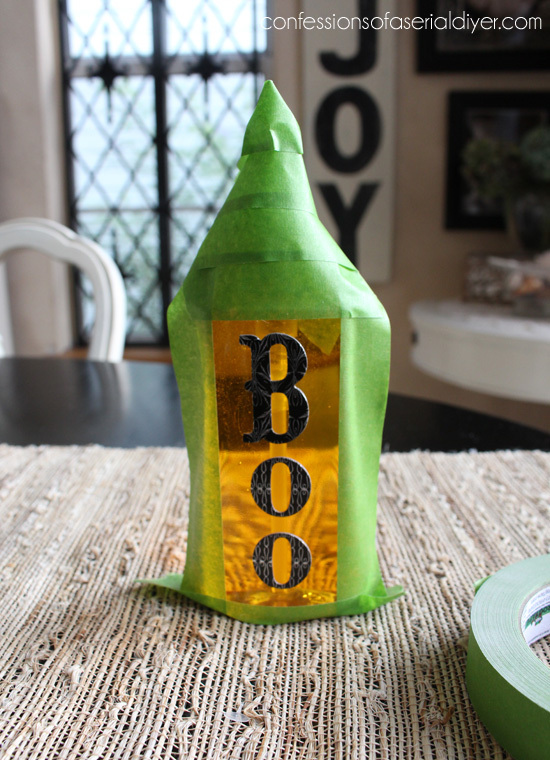 What an easy craft to add a little fun. That is so cute! And I love the spider, too! Did you make it?